I am often asked if I am familiar with the work of Brene Brown and especially her tremendously popular TED videos "The power of vulnerability" and "Listening to shame". These are fabulous introductions to the topic of vulnerability that can help all of us who see patients on two distinct levels. I highly recommend these videos to all physicians because vulnerability and shame are woven through any authentic healing encounter. It is important to understand and navigate the patient's shame and vulnerability whenever you enter the exam room. Brene Brown's work is also immediately relevant to physician burnout. Vulnerability and shame are experience all of us feel personally when our practice becomes too much. This is especially true for male physicians because of our habit of not reaching out for help. I love Brene Brown's work and it is incomplete. She leaves out the most important source of the experience of being vulnerable for physicians. She points out the willingness to be vulnerable is an act of courage. This is true for most of us. If you speak your truth openly and with transparency, you will probably feel like you are being brave ... like you are taking a risk. Why is that? Dr. Brown believes it is an innate feature of our human nature. We naturally feel vulnerable when we tell our truth. I disagree. There are outside forces that create this fear of shame. The source of this sense of vulnerability is hidden in plain sight if you remember that you speak the truth within a larger context. If you are open and transparent about what you are thinking and feeling and you experience it as being “vulnerable” - which means deliberately putting yourself at risk – then you are in an abusive culture. There are varying levels of abusive, depending on the exact culture we are talking about. Abusive starts with being dismissed outright, teasing and making fun of your disclosure ... all the way up to potentially losing your life for speaking your truth. Much of this conditioning comes from the cultural rules of your family of origin and the larger society in which you were raised. AND If openness is synonymous with vulnerability, it is the culture of the group that collapses this distinction. You know you are in a supportive culture when openness and transparency are the norm. When sharing your thoughts and feelings does not get you into trouble. You don’t get shot down, your words used against you, made fun of, ridiculed, dismissed. You know you are in a supportive culture, when being open and transparent are NOT A RISKY THING TO DO. 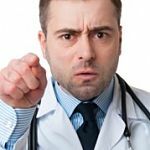 Medicine and especially the process of educating a physician is NOT a safe and supportive culture. In my experience coaching hundreds of over stressed physicians, physician burnout almost always happens in a medical group culture that is actively hostile to the health and wellbeing of the members. The practice is filled with fear of disclosure. "There is no way I am telling my partners how I am feeling", is a common thought process. It is simply a continuation of the programming of our medical education. The second of healthcare's two prime directives is tattooed onto our subconscious - Never Show Weakness. This unspoken law can lead to bullying and abusive learning environments naturally and automatically ... especially for surgeons. With graduation we take the Never Show Weakness programming along with us to our private practice. In our modern groups of hundreds of physicians, the hostile environment it creates exacts a heavy toll. Our working conditions are often fit for workaholic, perfectionist, super heroes ... rather than normal human beings. If no one shows you this programming - and how to mitigate for it - burnout is a result for the majority of doctors. I believe this hostile environment is partly to blame for physician suicides. Somewhere in the suicide victim’s consciousness it seems more reasonable to take their life than open up to a colleague and ask for help. This hostile environment is one of the reasons journaling is so important for doctors. It may be the only safe place to let it all out and tell the truth. Don’t journal to vent though. Do it to flesh out your entire experience and the depth of your feelings in a protected environment. Then plan the new actions you will take to make changes in your practice and life. We could model the culture of the military. They are team focused, “all for one and one for all”, “no man left behind”. Military teams are trained and conditioned to be team first and support each other in ways doctors are completely unfamiliar with. … is one of the key tasks of any physician leader. Because your non-clinical administrators have no direct experience of patient care, the leaders responsible for constructing and maintaining this culture are the ones in your physician leadership structure. What is your group's reaction to a cry for help? Ultimately a culture comes down to what the individuals in that group do when faced with another’s honesty and transparency. When someone comes to you and opens up enough to tell you, “I am struggling here. I think I need some help.”, what is your response? Do you offer your sympathy and support? Do you let them know it is O.K. to ask for help and give them a shoulder to lean on? Do we really have each other's backs? What is your experience of vulnerability and shame in your group? If you asked for help or time off, who would you approach and how do you think your request would be received? If you are a physician leader, what have you found that works to build a more supportive culture in your group?